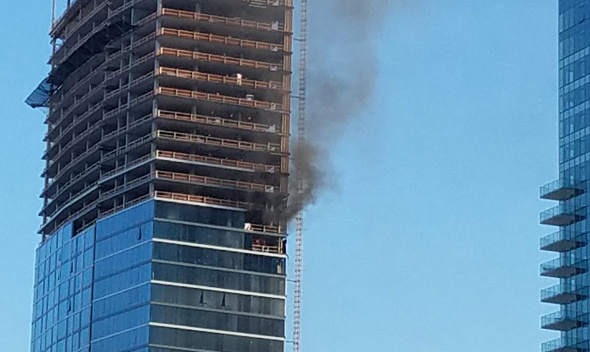 Boston firefighters responded to Causeway Street around 4:20 p.m. for what turned into a three-alarm fire on the 25th floor of a building under construction next to Boston Garden. Read more. 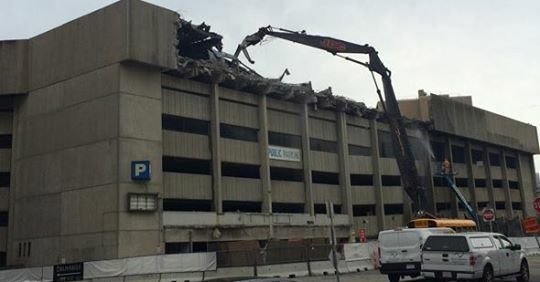 Adam Castiglioni watched this morning as the old Boston Garden garage started coming down to make way for a new residential tower. A man who came under attack by a group of other men outside West End Johnnies, 138 Portland St., was thrown through a bar window into the bar shortly before 2 a.m. on Jan. 28, a Boston Police detective and the bar's attorney said today. Read more. 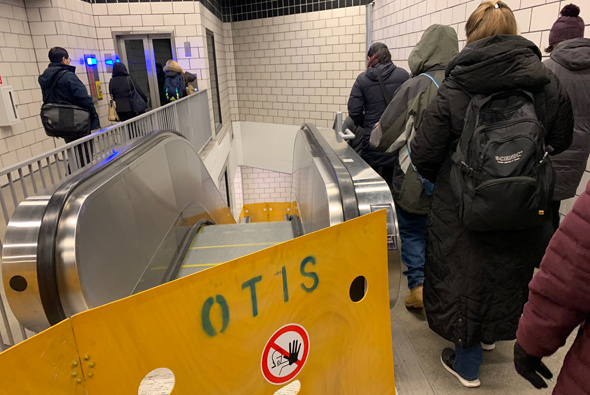 The guy was just not doing well at West End Johnnies on Super Bowl Sunday: The Patriots had lost, the bar wanted him to leave because he'd had too much to drink and then the cops showed up when he refused to leave. Read more. Mark Love, 55, is scheduled for arraignment in Boston Municipal Court today on charges he fatally stabbed Darryl Noles, 53, on Causeway Street Tuesday night, the Suffolk County District Attorney's office reports. Update from the DA's office: Read more. 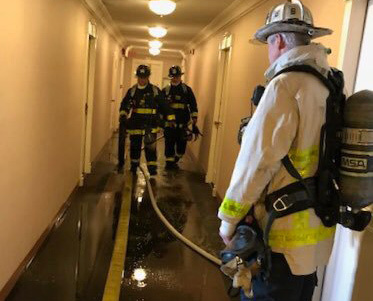 Firefighters in a soggy 12th-floor hallway. Photo by BFD. The Boston Fire Department reports a fire on the 12th floor of 9 Hawthorne Pl. this morning was confined to a single apartment, but resulted in water damage to the 12th and 11th floors. Read more. John Gage watched the sun go down through the cupola of the Liberty Hotel and over the Charles River. That only looks like a squid swimming up the street - we think. See it larger. 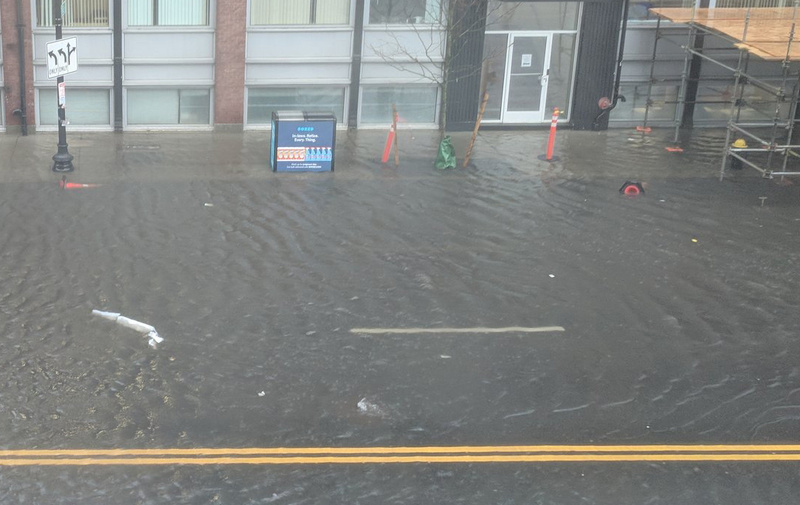 David reports Causeway Street is now closed between North Washington Street and North Station due to flooding. And as high tide rolls in, the wharves along Boston Harbor in the North End have surrendered to the sea. 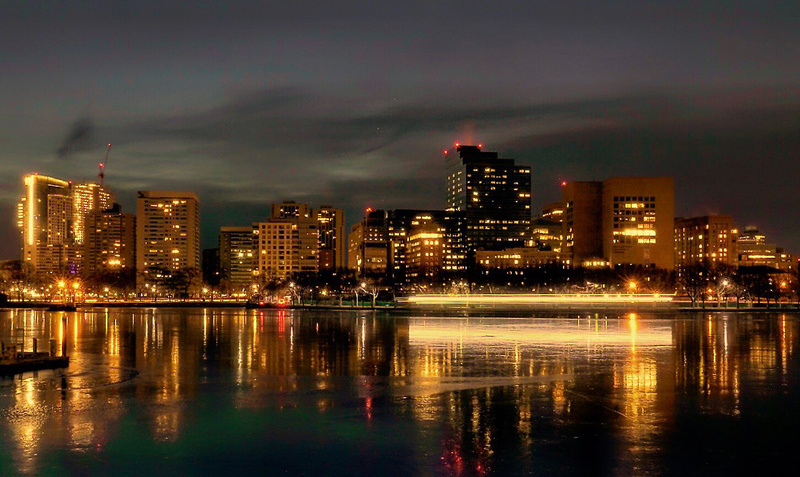 Chad Jackson shows us the Sargent's Wharf parking lot: Read more. 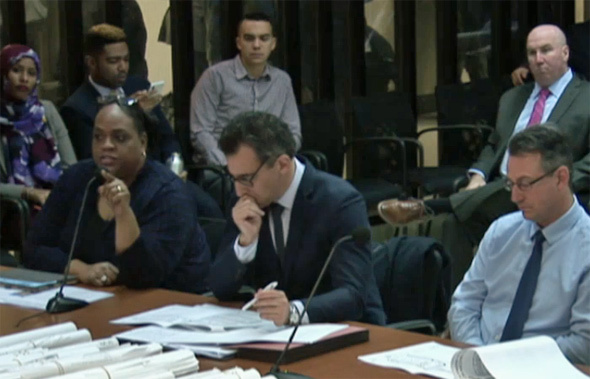 NorthEndWaterfront.com reports the West End Civic Association next week discusses "what needs to be done to control the proliferation of AirBnBs and illegal rentals in West End apartment buildings." The meeting begins at 7 p.m. on Feb. 15 in the Amy Lowell Community Room, 65 Martha Rd. 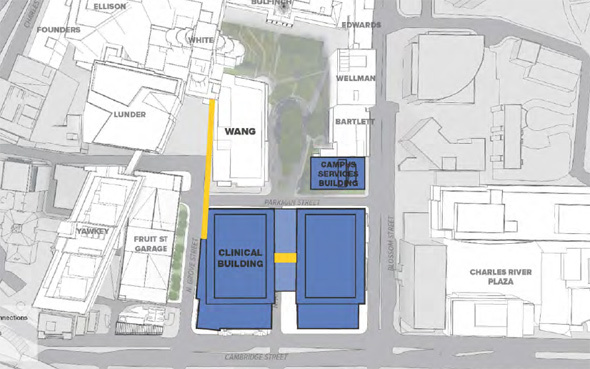 The Herald reports the owner of the Garden has decided to try to re-brand its neighborhood, where it's currently building a mega mixed-use complex, as Uptown. Funked up, no? What's wrong with the West End? Read more. Half of the drawbridge near the Museum of Science refuses to go down and so traffic near there is "a huge mess," Jill Neblett reports.